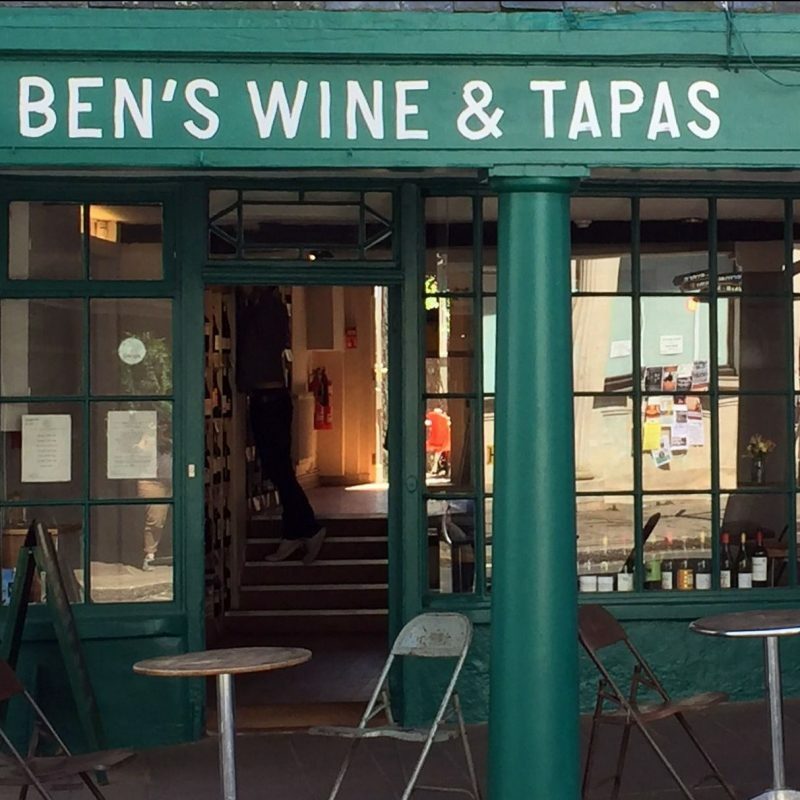 Ben’s Wine & Tapas is all about the things we want to eat and drink. We hope you do too! We’ve always taken wine seriously but in a farm shop it’s hard to show off our full credentials. There’s so much great wine out there – new, exciting wines from small producers around the world at fair prices that represent real value. The quality of what you get in your bottle is an exponential leap from supermarket entry-level wine, but once you get to a certain point it seems you pay extra for a name and not much else. So we’re concentrating on mid-range, £8-£15 wines because that’s where the value is. Wine is for sale to take home or you can pay £6 corkage charge to drink in, so you’ll get a fantastic bottle of wine for the price of a few pints in the pub. Most of our wine is from grower/winemakers, so it’s a true farm product. As much as possible, we buy straight from the producer so though not local in geographic terms, in spirit and ethos it certainly is. When we say tapas, we mean small plates of tasty, simple food – as in a traditional tapas bar with no pretensions to be a restaurant – mainly Spanish themed, with North African, Mexican, Middle Eastern and best of British influences. There are local, seasonal and dietary variations and the sourcing is the same as the farm shop – mainly organic ingredients but most recipes won’t be certified. Last year, at our kitchen on the farm, 98% of the ingredients we bought were organic but only 65% of what we produced was certified as such. I know – we’re mad. Son Harry, who may be a familiar face to farm shop customers, is in charge. It probably should be Harry’s Bar but, given that the reason for the name change from Riverford Farm Shops to Ben’s Farm Shops was to eliminate confusion, we thought we’d go with Ben’s. These are sample menus and will change seasonally, with specials added according to availability. Preparing for the day! Garden is set and we are ready for you!